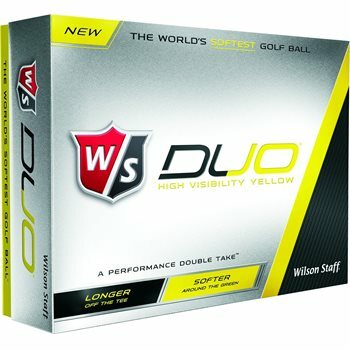 The new and improved Wilson Staff Duo golf balls features a groundbreaking 29 compression. It is designed for the distance player seeking less spin off the tee and a soft feel around the greens. The high C.O.R. results in an increase in velocity with the longer clubs and its soft feel improves playability around the greens.